Planet eStream - Simple 1’click live broadcasting enables you to live stream instantly and for free. Simple one-click live broadcasting enables you to live stream instantly with ease. 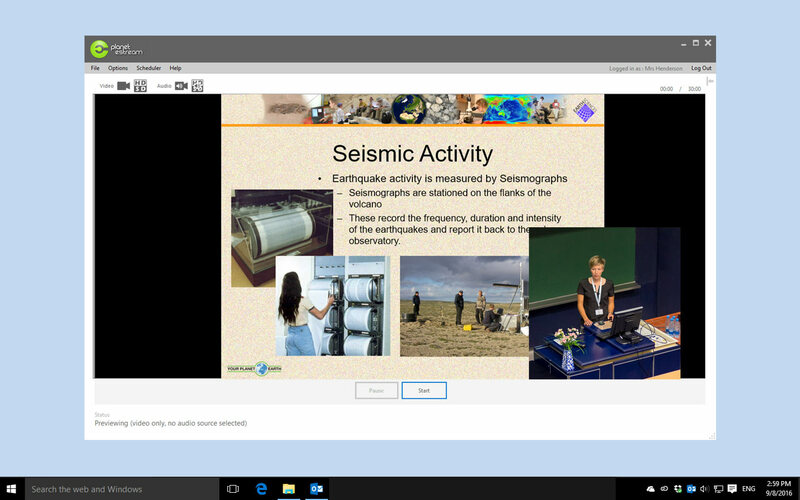 There are so many applications for live streaming in education; students can view live lessons or lectures remotely, you can deliver broadcasts of key events across your entire organisation for maximum inclusion, key stakeholders can view live streams securely so they don’t miss any important events or presentations. Our simple streaming applications for both Windows and iOS turn what has traditionally been complicated and challenging to set up, into an easy process that anyone can follow. Live streaming is fast becoming more of an everyday requirement for educational organisations. 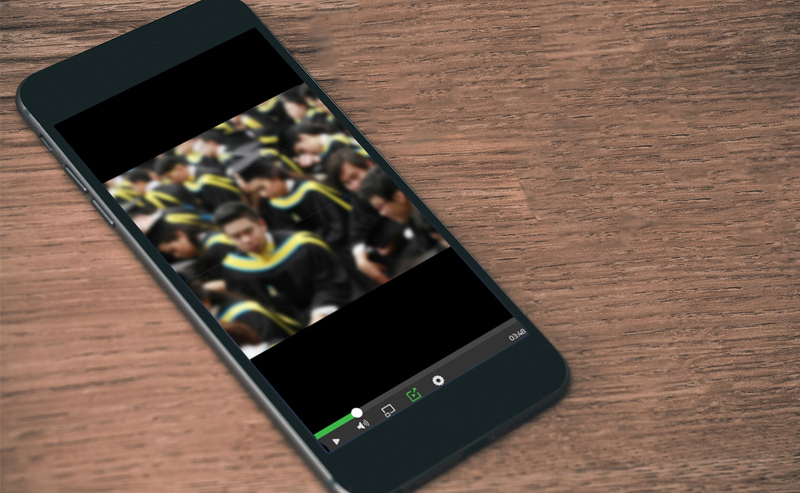 A recent survey completed by our user base highlighted that 58% already took advantage of live streaming with Planet eStream, but interestingly, 87% believed that the requirement for live streaming in education will increase over coming months and years. Planet eStream removes the complexity usually associated with delivering live video streams. It is incredibly flexible with different broadcast styles available and will even automatically add recordings of your live broadcasts to your media library once completed for on demand viewing. Live video streams from Planet eStream can be viewed from any geographical location and on any device including IOS and Android tablets and phones. When viewing, your users can create personal notes or public comments that are saved and included when the broadcast becomes available on demand. Discover live streaming with Planet eStream and applications such as event broadcast, lecture capture and lesson observation. How do you Create your Live Streams with Planet eStream? Planet eStream includes an innovative live streaming application for both Windows based computers and iOS mobile devices. These intuitive applications enable users to generate live broadcast from anywhere with an internet connection. The encoder is incredibly scalable and supports both HD sources and HD broadcasting. The simple setup can even be automated with the built-in scheduling tool, users can program the system to automatically stop and start broadcasts on a specific date and time. The Live Encoder application is included on an unlimited licence basis so you can empower your users to create their own live streams easily and with no hidden costs. The Planet eStream iOS application allows users to upload and broadcast video content with ease. Recent reports show that almost 70% of primary and secondary school in the UK now use tablet computers and almost 10% operate a 1 device per pupil policy. The abundance of this technology with education makes live streaming from devices such as iPads incredibly easy and cost effective to implement. View the app in the Apple app store here. Some live broadcasts are enriched by delivering two live sources to the viewer simultaneously. In an educational setting, lessons and lectures are enhanced by being able to see the presenter and their presentation materials concurrently. 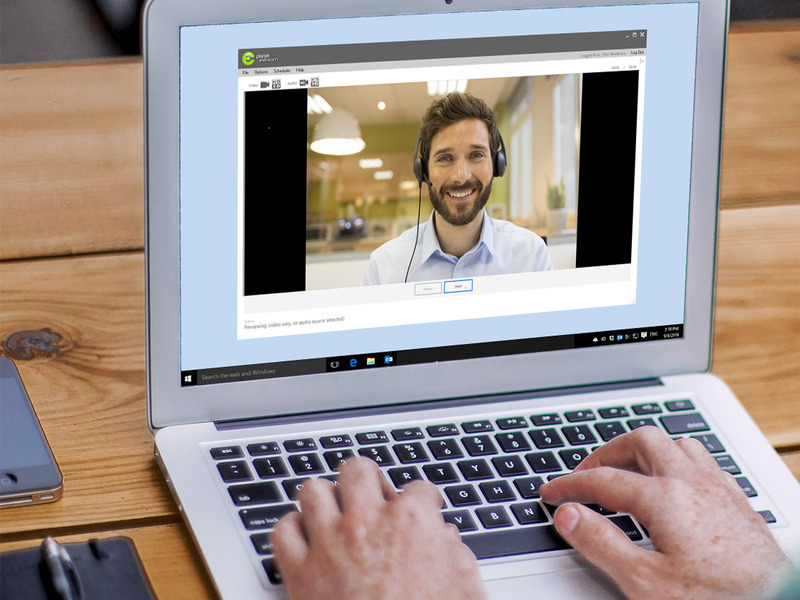 The Planet eStream Live Encoder for Windows enables your users to select both a camera feed for the presenter and desktop capture as a second source to clearly capture the presentation materials, both sources are delivered in a single picture in picture video stream at high quality. The Planet eStream Live Encoder for Windows application can also be used to simply record and archive your live events. It's also an excellent tool for educators to create flipped learning materials and upload them to the media library for on demand access by their students. When using a mobile device it is also easy to upload any recorded videos via the standard Planet eStream interface or the dedicated IOS and Android applications.